It's that time of the week again! We're coming back at you with this week's Tasty Tuesday! 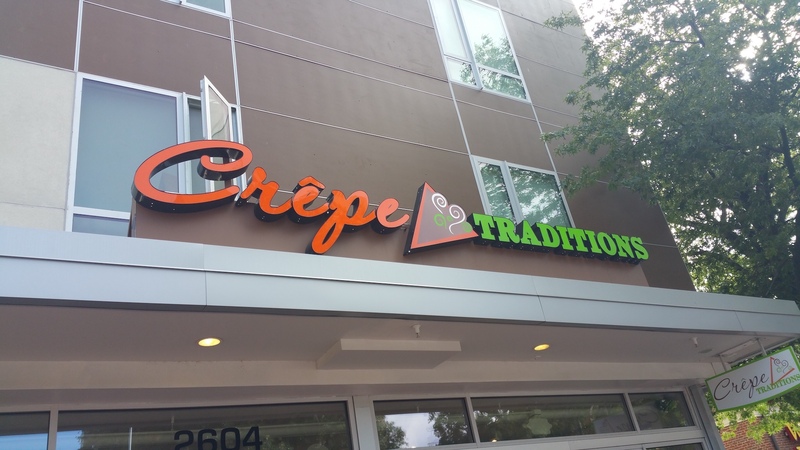 Today we're heading over to Crêpe Traditions, a restaurant known for its amazing sweet and savory dishes. After asking the cook and other employees what their popular dishes were, I was immediately directed to the Margherita Veg with Chicken for savory and the Nutella Crepe for sweet dish. I went ahead and ordered the Margherita Veg with chicken. 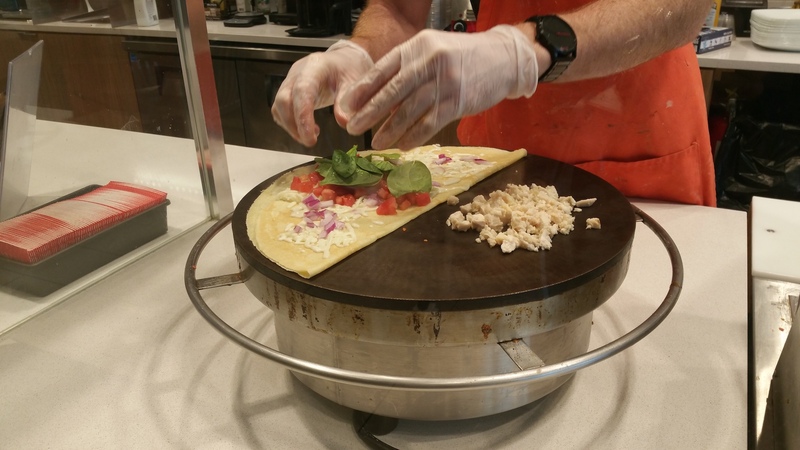 Once the order is placed, the crepe preparation is done behind a glass wall on a large circular griddle. Afterwards, the crepe gets stuffed with a wholesome amount of ingredients. They definitely don't skimp on anything. Yum! This dish looked amazing. Besides the actual taste, the pop of color and overall layout of this dish was stunning to the eye. It had another customer wanting the same dish. After the first bite, I was in food heaven! The first hint of flavor came from the super rich kale pesto followed by the very savory dark balsamic glaze. Once I got past the two, I started to bite into the super fluffy and spongy crepe. Then I got an array of flavors and textures from biting into everything else inside. Being a person who isn't fond of vegetables, I would say this one definitely had me eating my veggies! 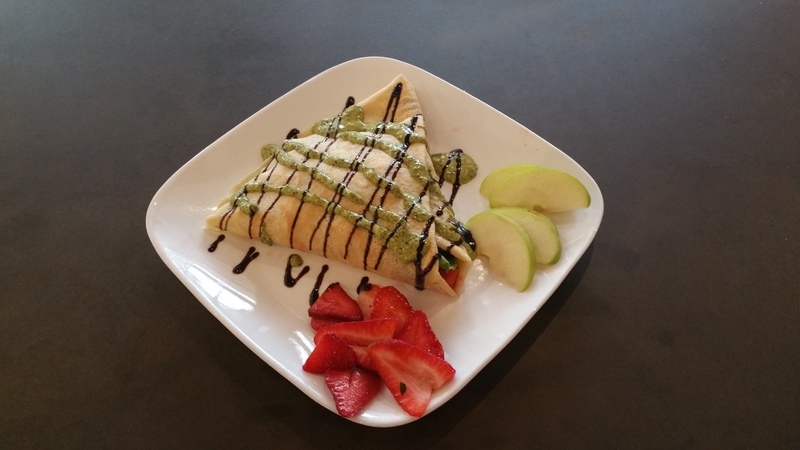 If you have the time, definitely stop on by and check out Crêpe Traditions, located at 2604 Hillsborough Street. They're open every day at 8 am - 3 pm.